 Structures like reinforced concrete where steel rebar in encased in solid concrete can be represented by 1-D rod or beam elements for the rebar inside solid 3-D tet-elements for the concrete. 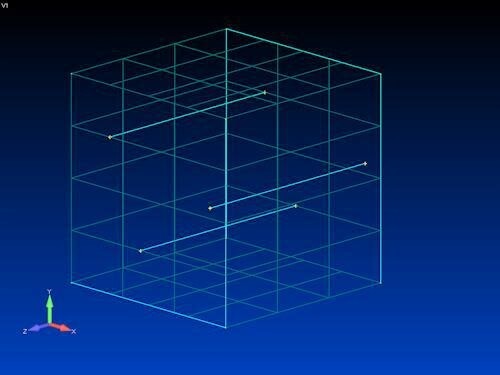 When setting up such a model you have to take care to ensure that the mesh is contiguous and that the 1-D elements connect with the 3-D elements correctly. 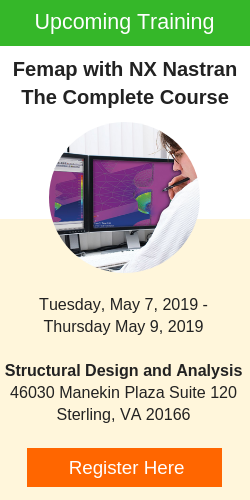 For clarity, we’ll demonstrate how this may be set up in Femap using a simple model of a solid block that will represent the concrete that contains three internal curves that will represent the rebar. First, we need to create Mesh Points on the surfaces where the internal curves connect to ensure that the surface mesh will create nodes at the internal curve positions. Select Mesh / Mesh Control / Mesh Points on Surface… and pick the first surface to which the internal curves connect. Select Use Existing Points and click OK, then pick all of the curve end points on the selected surface and click OK. Now repeat for any other surfaces that connect with curve end points. Now we can mesh the internal curves to create rod elements in this case, as they will adequately represent the tension / compression properties of the rebar. Select the Mesh Curve icon , and select all internal curves. Enter an appropriate property type and click OK. The next step is to mesh the bounding surfaces. Select the Tet Mesh Solid icon , and pick all the bounding surfaces and click OK to close the Entity Selection dialog. In the Automesh Solids dialog activate the Surface Mesh Only checkbox. 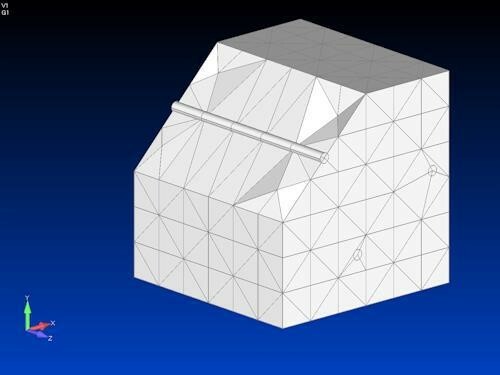 Ensure that an appropriate property is entered and click OK.
To verify that the meshing points have been picked up correctly select the Wireframe icon in the dropdown menu of the View Style icon in the View toolbar. Click the Undo icon to revert to the previous view style. Now with the curves and surfaces meshed in separate commands there will be coincident nodes at the mesh points that will have to be removed. Select Tools / Check / Coincident Nodes… and Click the Select All and OK buttons. Clicking the Preview button at this point will show all of the coincident nodes found. Click OK to complete the command. Select All and OK. 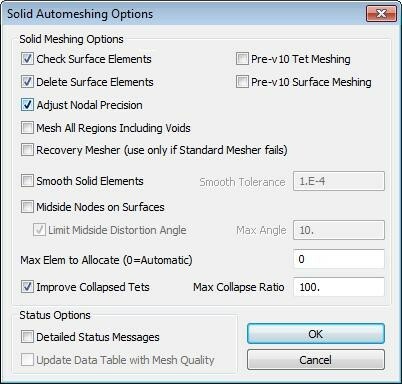 In the Automesh Solids dialog click Options then in the Solid Meshing Options dialog verify that Delete Surface Elements is checked. Click OK and OK again to complete the mesh. If a warning message appears requesting to proceed with the mesh, click Yes. 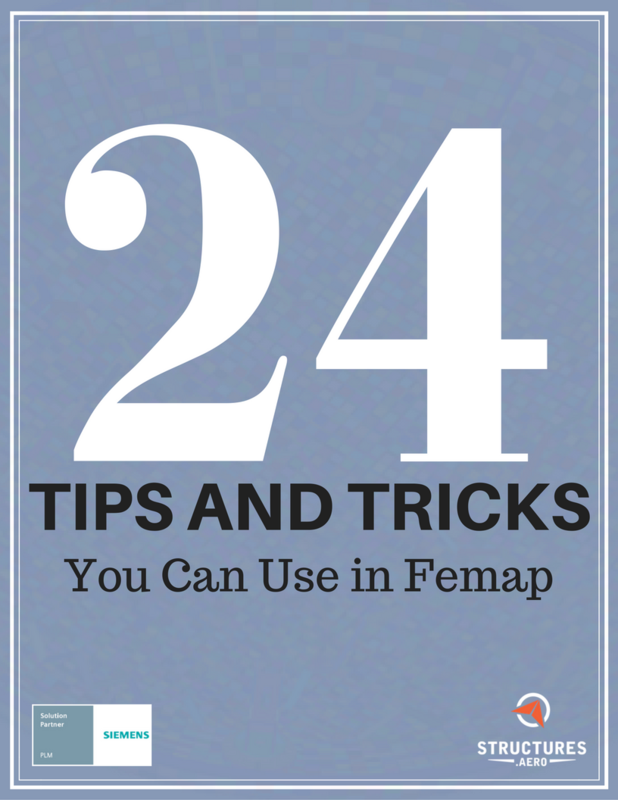 Verifying the interior of a solid model visually can be challenging, but in Femap we can use the grouping function to create a subset of the model that can be blanked off. In this case, we’ll put the corner elements of the block into a group such that when they are blanked off one of the interior lines of rod elements will be revealed. Select the Solid icon in the dropdown menu of the View Style icon in the View toolbar. Now we orient the model such that a selection of elements can be made that can reveal a line of the internal rod elements. Select Group Create/Manage… to activate the Group Manager dialog, click New Group… and enter a Title then click OK and Done. Selecting Group / Element / ID… will allow a group of elements to be selected and added into the new group. In the Model Info tree expand the Groups entity, right click on the new group that’s just been created and select Show Active Group. 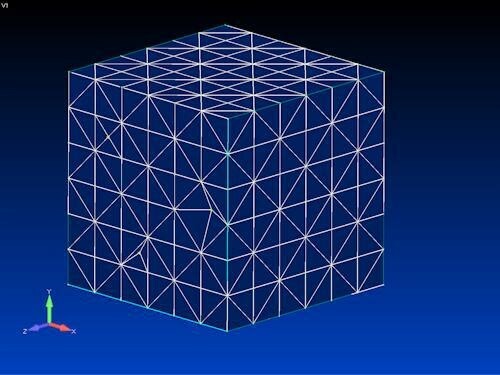 It can be seen that a contiguous mesh has been created correctly linking the internal rod elements.